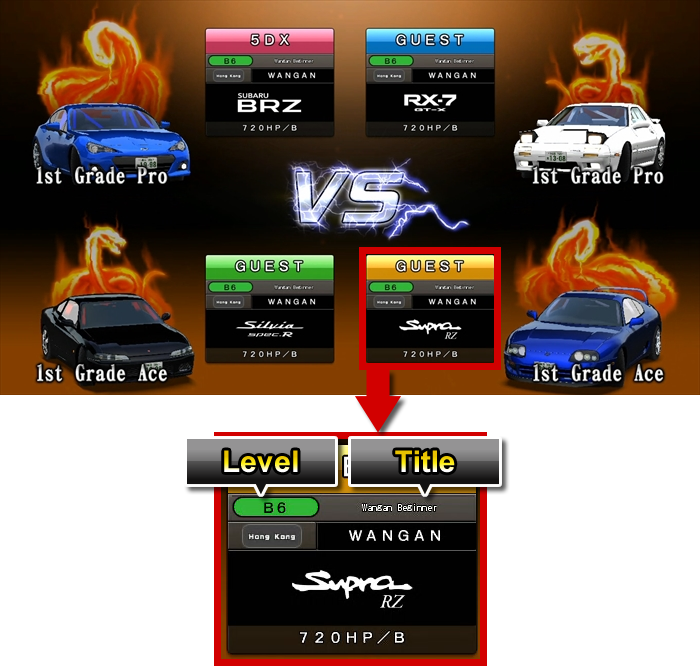 In Wangan Midnight Maximum Tune, players can get a "Level" corresponding to their progress and a "Title" corresponding to their gaming style.Your "Level" and "Title" will be displayed onscreen during the game. 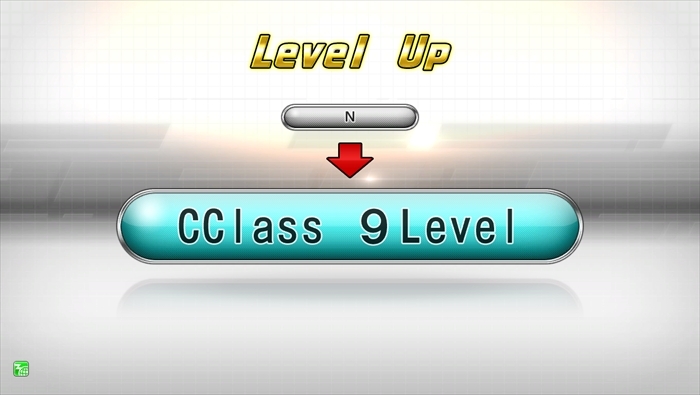 Your level rises, one step at a time, when you satisfy certain conditions during the game.The first level is "N Class". N Class -> C9 Class -> C8 Class -> ...... -> C1 Class -> B9 Class -> B8 Class -> ...... -> B1 Class -> A9 Class -> ...... ? You gain a new title when you satisfy certain conditions. 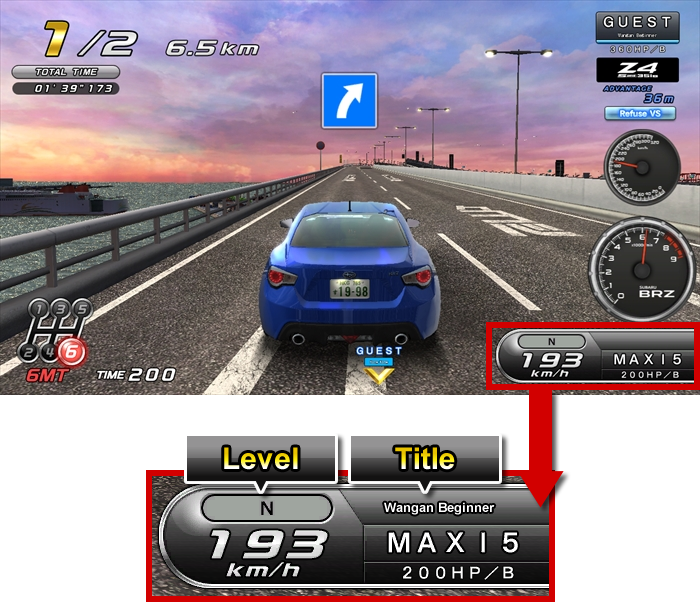 You can overwrite your old title with a new one (the old title disappears and the new one becomes yours). 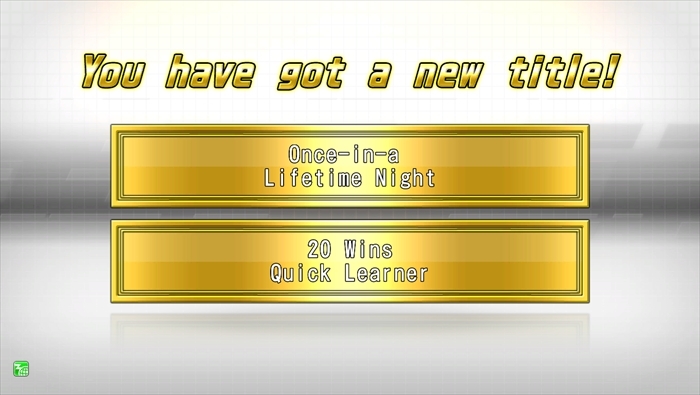 Or you can also decide not to overwrite (you keep the old title). Whether you keep on overwriting the titles in succession or whether you keep your favorite title is up to you.